KMP Drivetrain Solutions / Final Drive / Why change your Final Drive? Why change your Final Drive? There are multiple reasons why you want to change your final drive. If you have an OEM final drive, you probably want to increase reliability and lifetime. If you already have a motorsport final drive, you probably want to create the perfect gearing for your car and track. Both reasons are highlighted below. Choosing your right gearing is all about ‘compromise’. A lower (taller) gear ratio provides a higher top speed, and a higher (shorter) gear ratio provides faster acceleration. . Besides the gears in the transmission, there is also a gear in the rear differential. 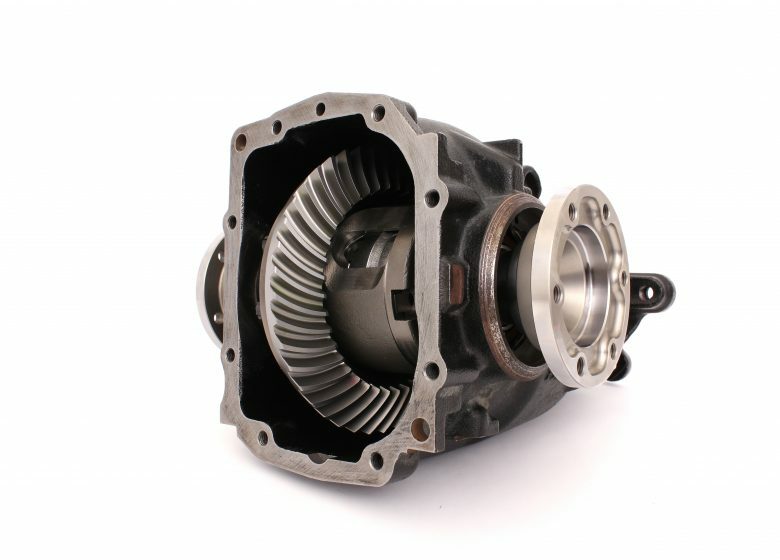 This is known as the final drive, differential gear, Crown Wheel Pinion (CWP) or ring and pinion. You can see the reduction of top speed (from 203km/h to 158km/h), while the acceleration torque increases (28,7%). As said before, it’s all about compromises. You are sacrificing either torque for top speed, or top speed for torque. The OEM final drives are designed for the specifications of that specific car. If you are upgrading your car, or increasing engine power, the OEM parts of the drivetrain will have a higher failure risk. Upgrading your drivetrain components is necessary, since a chain is only as strong as its weakest link. In the next blog the differences between Gleason, Klingelnberg and Oerlikon gear shapes and manufacturing will be explained. Please comment or share if you would like to read more blog posts on this subject! If you want to find out more technical specification on final drives, please consult the catalog.